Cupcake Ceramic Clock 8 inches This is an 8" handmade ceramic clock. It can hang on the wall or put on a stand. 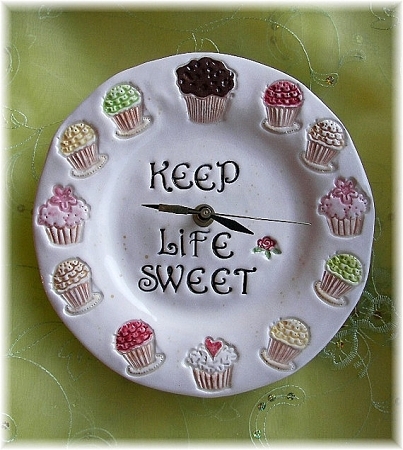 This ceramic cupcake clock with stamped cupcakes and words is so sweet. Great for any room, you will love all the colors of different cupcakes. Batteries included in all my clocks. Each clock is made to order..